The Taipei Metro Tamsui Station (formerly Danshui Station and Tamshui Station) is located in Tamsui District, New Taipei, Taiwan. It is the terminal station of the Tamsui Line. The location of the station can be traced back to the same-named station of the now-defunct TRA Tamsui Line. 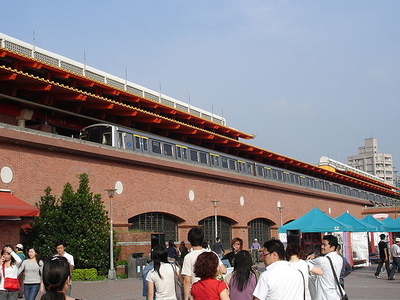 Tamsui Station is the northernmost metro station in Taiwan. amsui Station is elevated, has an island platform and two exits. 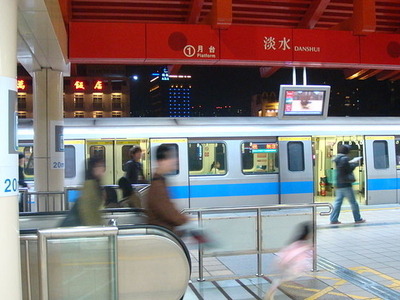 The station is situated between the south side of Zhongzheng West Road and west of the Zhongshan-Zhongzheng Road intersection. Restrooms are located inside the main entrance area. 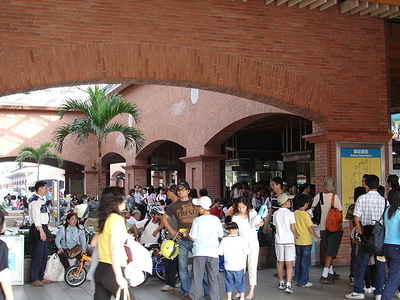 The station is heavily used by people looking to visit the sea-side district of Tamsui. Here's the our members favorite photos of "Railway Stations near Tamsui District". Upload your photo of Tamsui Station!